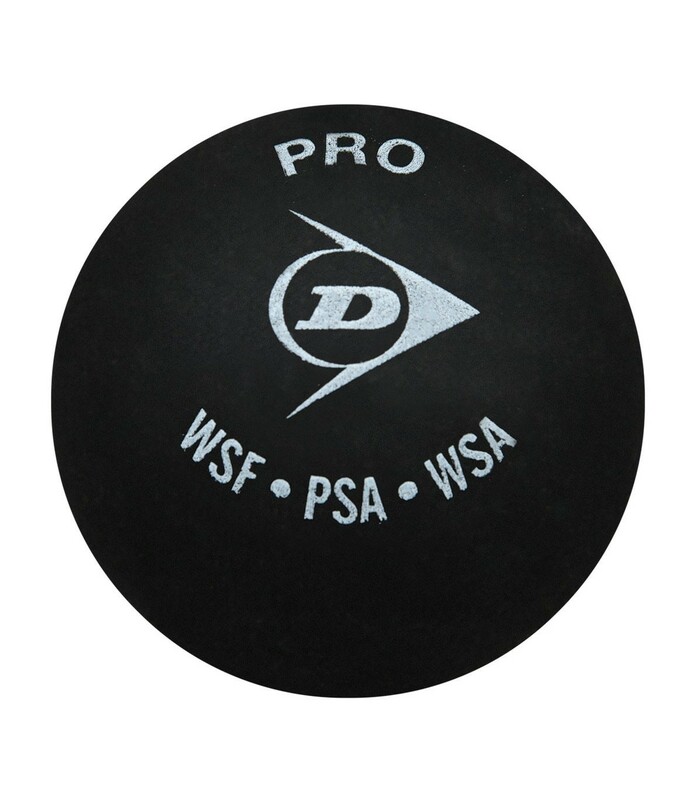 The Dunlop Pro squash ball is the official ball approved by the WSF, PSA and WISPA. 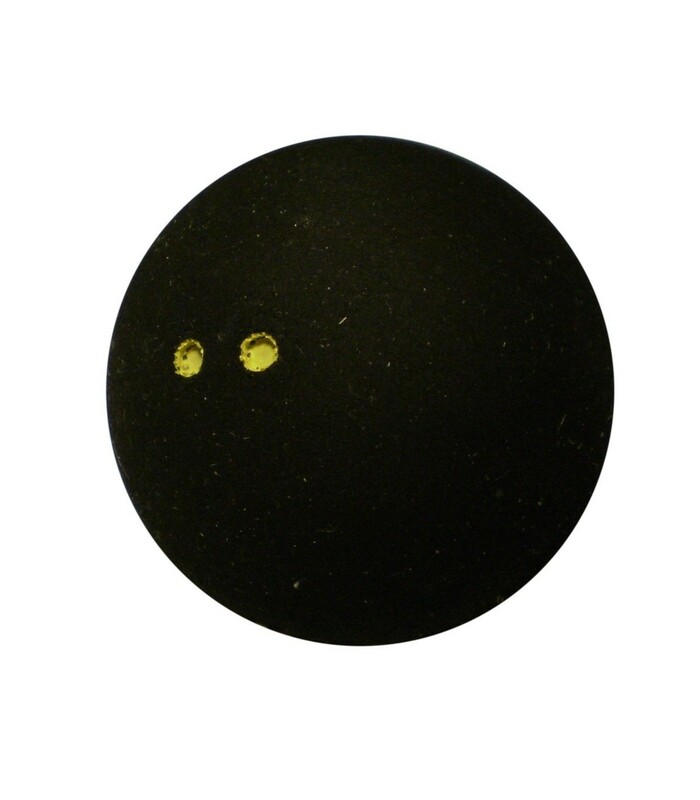 This squash ball is ideal for intensive players, who have an excellent technique. This squash ball is a yellow two dots ball, ie, a very slow and low bounce ball. You are a professional player? You play tournaments? Competitions? So, choose the Dunlop Pro squash ball. 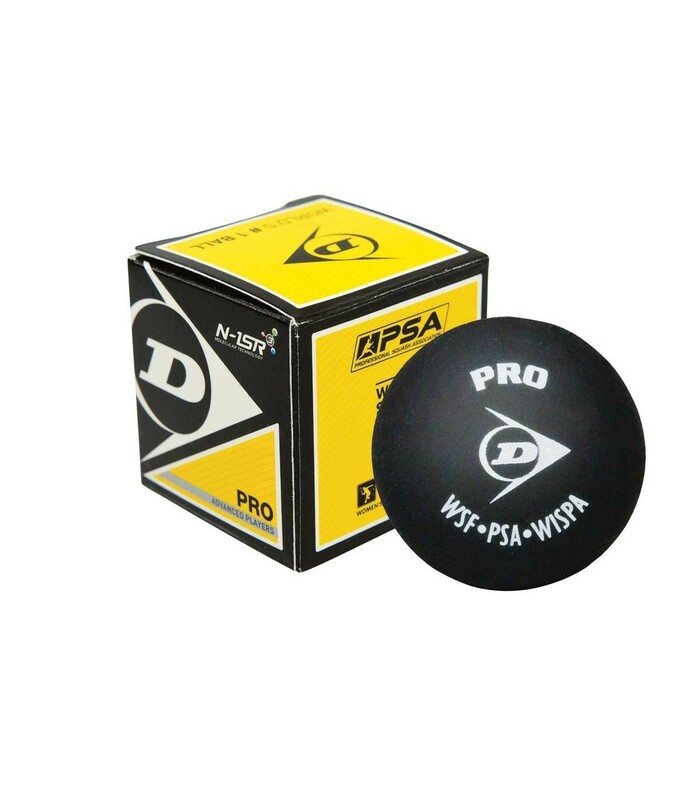 The Dunlop Pro squash ball is the official ball of the PSA (Professional Squash Association), the WSF (World Squash Federation) or WISPA (the International Association of Squash Players). These acronyms are displayed on the Dunlop Pro ball. This is the only squash ball that is used in international professional competitions. The Dunlop Pro squash ball is not inflated. Choosing your squash ball is just as important as the choice of the squash racket. It will affect your game. So if you are a professional player, the Dunlop Pro squash ball is the ball that will suits you. All squash balls have a diameter of 40mm for 24g, but the difference lies in the color category. The Dunlop Pro squash ball is a two yellow dots squash ball. This squash ball is slow and has a low hang time. So, you’ll move more with this ball. This competition squash ball offers unique gaming sensations, sensations of a professional level. So if you are looking for a ball approved by the World Squash Federation for international competitions, go for the Dunlop Pro squash ball. If you compete or you have an advanced technical level, the Dunlop Pro squash ball is ideal for you. This squash ball, double yellow dot, is as its name Dunlop Pro suggests, for professionals. This is THE official ball for tournaments and competitions in France and abroad.